Jason and Kelly F are the winners of our $100 gift certificate for January! This is the picture of the lovely custom cabinet they sent us. 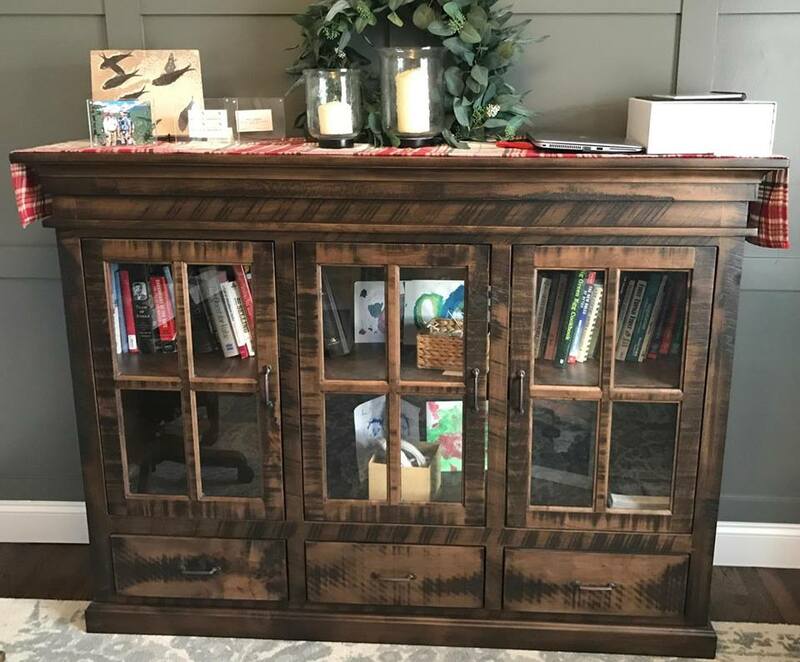 This cabinet is particularly unique because we made it for them by combining the size of a bookcase and the design details of a cabinet. Do you have something in mind that you haven’t been able to find anywhere? You’re not sure it exists? 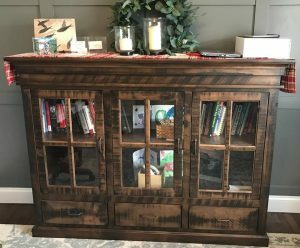 Have you seen something on an HGTV show that you’d love to have in your home but you don’t know where to get it? WE CAN HELP! Amish Originals sales staff, design team and crafters are at your service. Together we can make it happen. Stop in the store today and let us make your dream piece a reality!